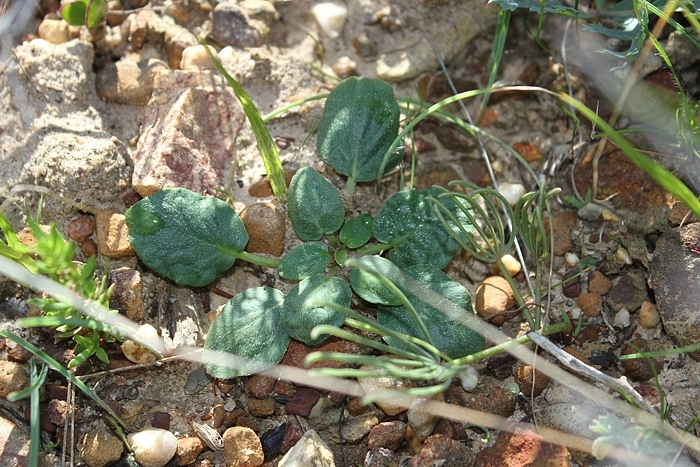 A deciduous geophyte, 110-300 mm when in flower. Simple, seldom auriculate or trilobate, lamina ovate, 18-105 x 15-80 mm, apex acute to rounded, base cuneate to truncate, margin entire, seldom crenate, adaxially sparsely hirsute with appressed coare hairs, abaxially sparsely hirsute with short appressed hairs. 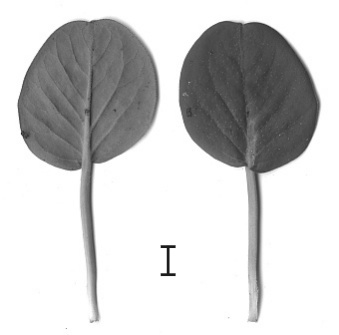 Petiole 17-100 mm long, prostrate. Stipules membraneous, 7-11 mm long, subulate, adnate to petiole. Scape 10-60(-140) mm long, branched, bearing 2-8 pseudo-umbellets with 4-12 flowers each. Peduncles 35-150 mm long, green to reddish brown. Densely covered with long small-headed glandular haris and long appressed curly hairs. 5, posterior erect, others recurved, 7-11 mm long, 1-3.5 mm wide, apices acute. Hypanthium (20-)27-50 mm. 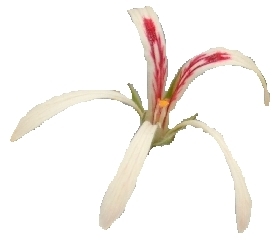 5, cream-coloured, pale yellow or yellow, spathulate to narrowly spathulate, patent, posterior two slightly curved backwards, with dark pink feather-like markings, 18-30 mm x 6-8 mm, apices rounded to emarginate. Anterior three 17-27 mm x 2-5 mm, apices rounded. White, concealed, posterior one 2-3 mm, lateral two 3-4 mm, anterior two 5-7 mm long. Pollen orange. 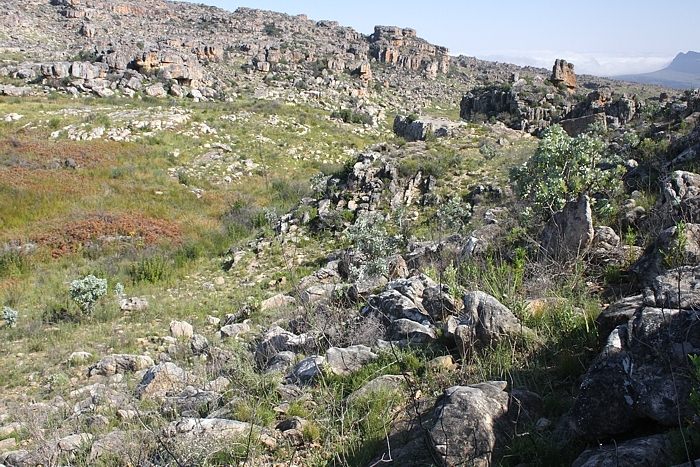 The beautiful jagged peakes of Cedarberge covered in mountain fynbos. 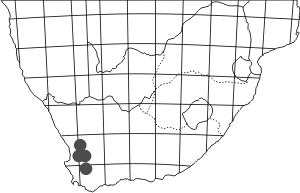 The area just beneath the Pass is densely populated with the new species, as well as with P. reflexipetalum and what is probably P. trifoliolatum. 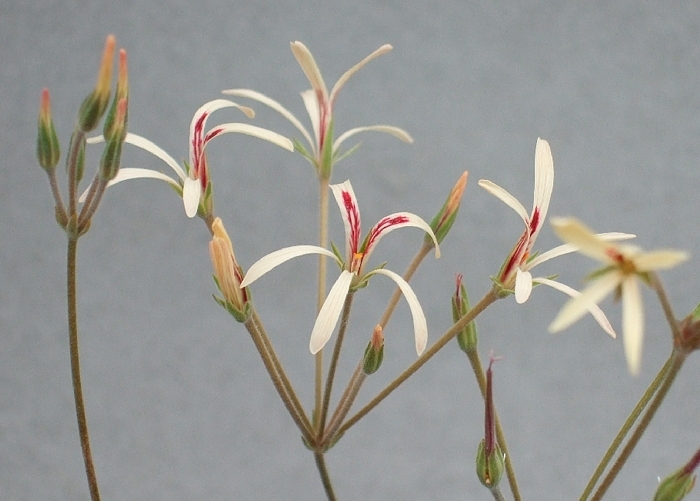 This is just to mention hoareas - there are numerous other pelargonium species as well. 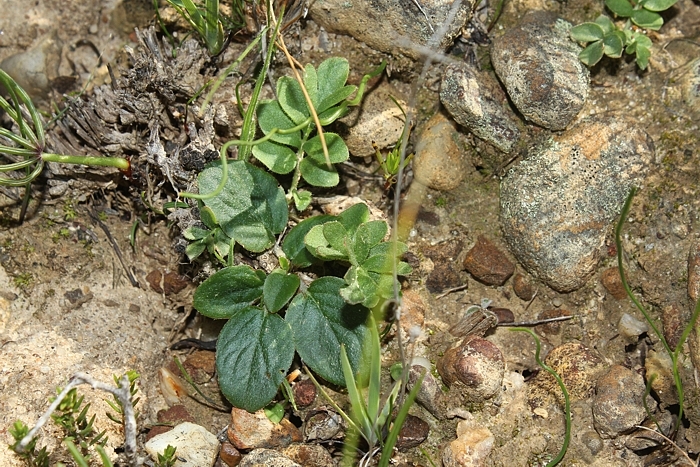 P. pallidoflavum and P. reflexipetalum bromance in Pakhuis Pass. Although a very popular and touristy place, Pakhuis Pass in the Cedarberge recently revealed several very interesting pelargonium species. 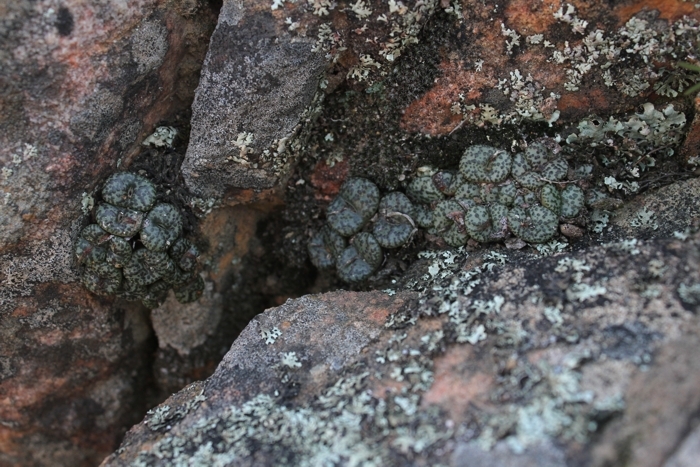 Hidden in the cracks of exposed rock formations is one of the most ornate conos, the beautiful Conophytum obcordellum ssp. obcordellum. When still unnamed this species frequented collections as MST431. This site and all subpages were created and are maintained by MatijaStrlic. All photos ©Matija Strlic unless otherwise indicated, 2000-2015.